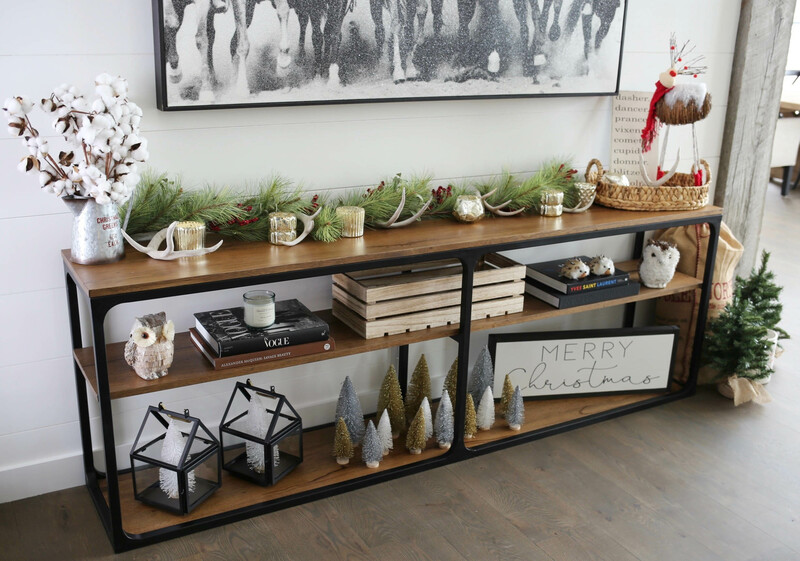 Come on in to my Christmas entryway, y’all! 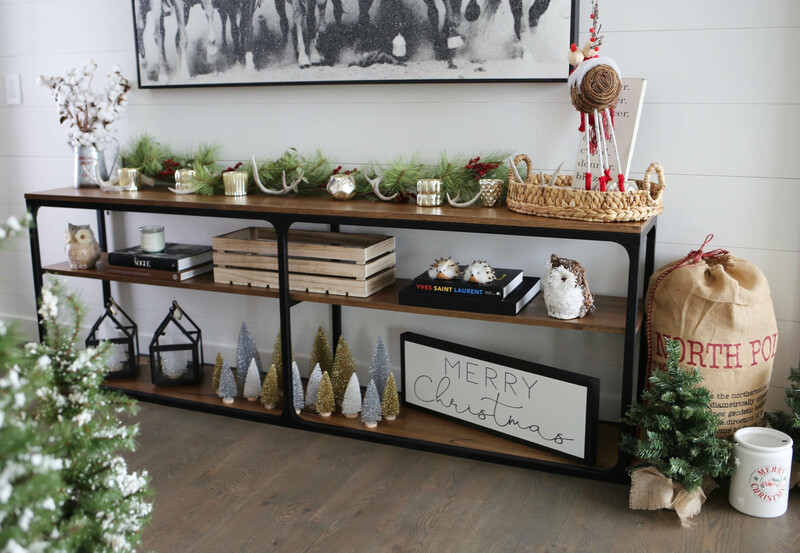 I can’t stop decorating for the holidays as it is one of my most favorite things to do. 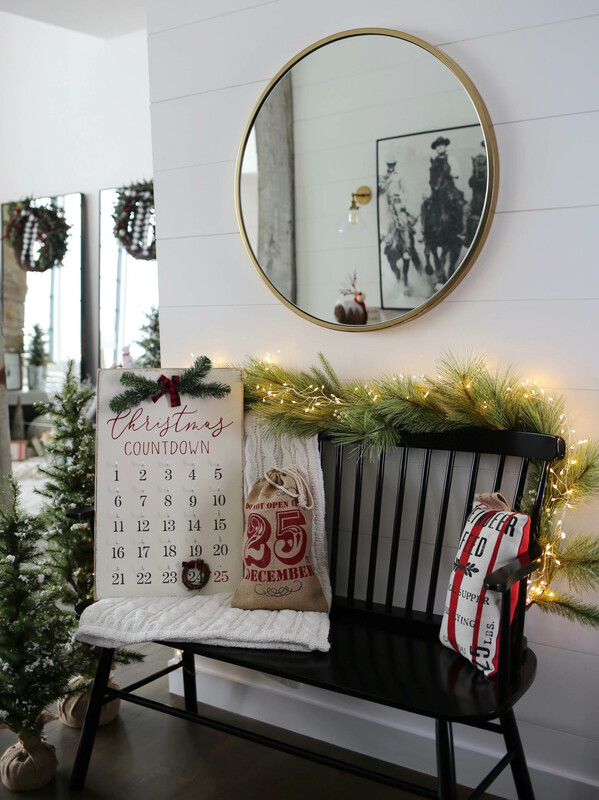 Today I’m sharing my farmhouse holiday decor. 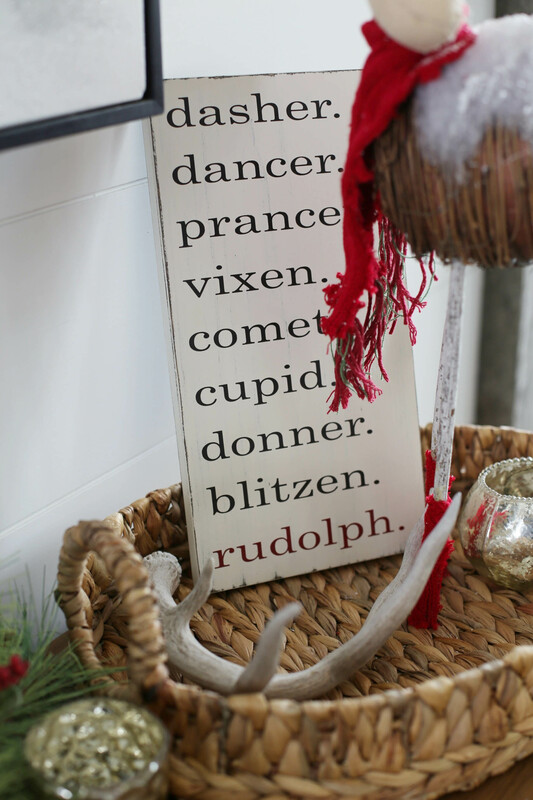 Let me first start out by saying, these decorations are not specific to an entryway. You could use it in different spaces throughout your home. 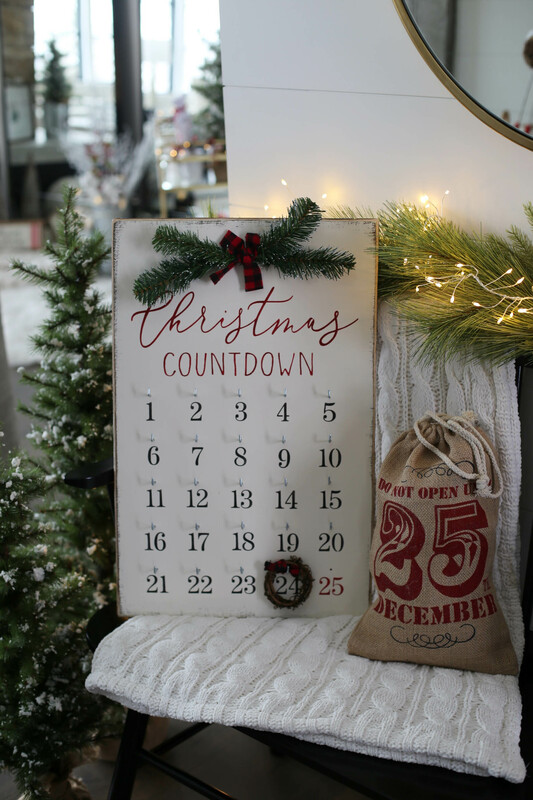 I’ve created four different areas of my house to dedicate to the holidays – entryway, living room corner, tree and dining room table. I’ve shared two of these spaces thus far. 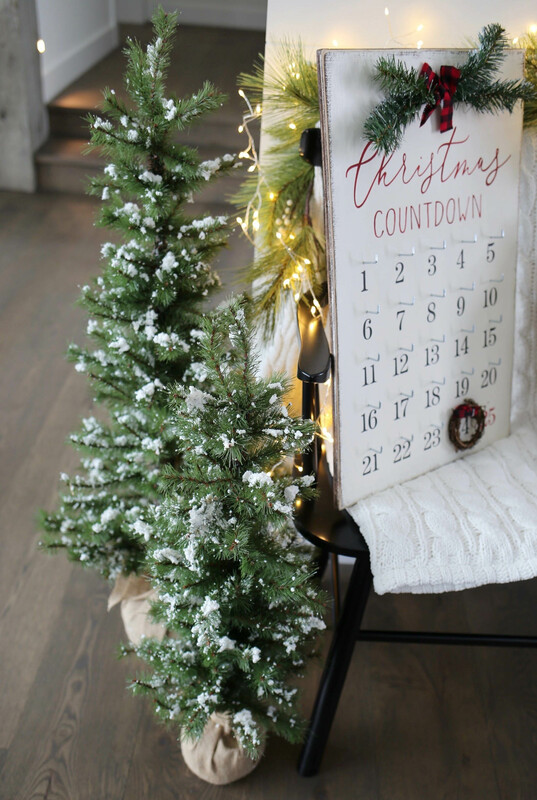 If you missed them, check them out here: Farmhouse Christmas Tree and Christmas Corner. 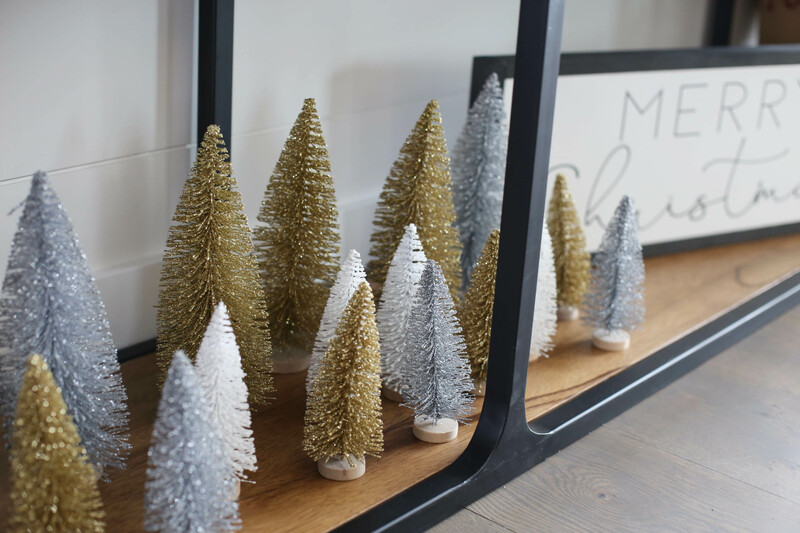 As for my decorations in general, I want them to align with my already existing home style. 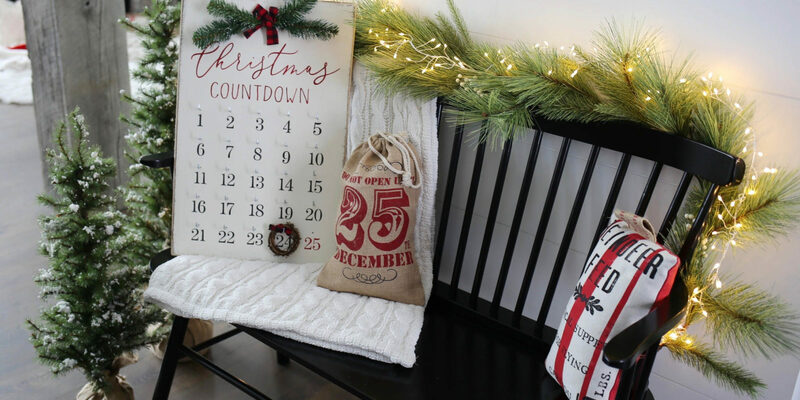 This is why I chose to go with a farmhouse Christmas theme throughout all of my decorations. Sticking to this idea in your home will ensure everything looks consistent, which in my opinion, is very important! 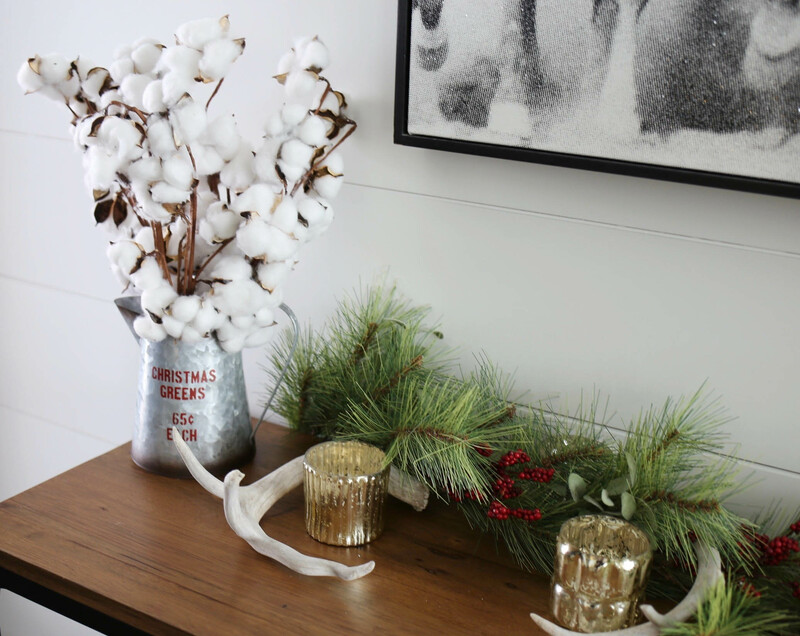 The items I used to achieve the farmhouse look are: greenery, antlers, mercury glass, galvanized tubs, wood signs, burlap and cotton stems. 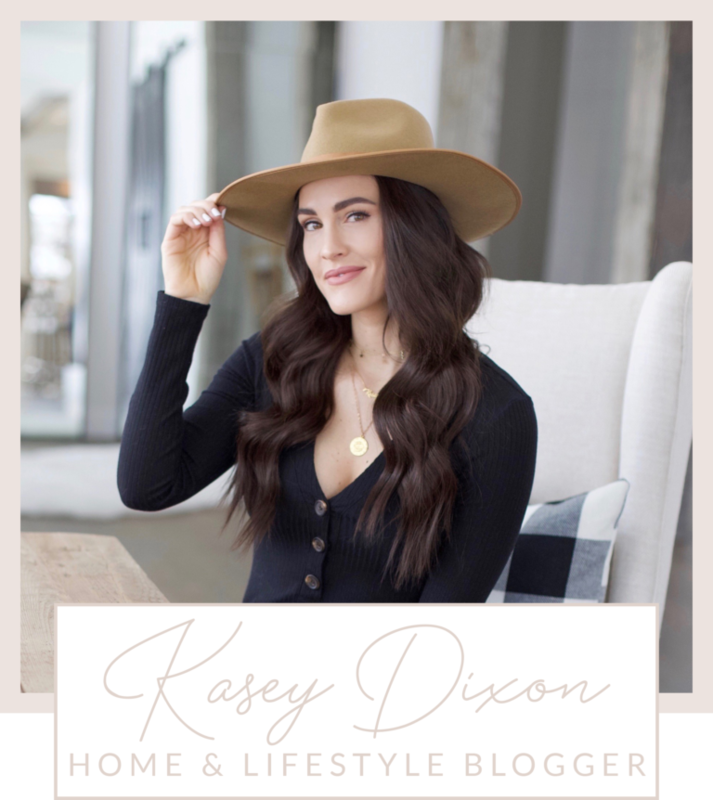 Everything is linked below so it’s easy to shop! Happy decorating! 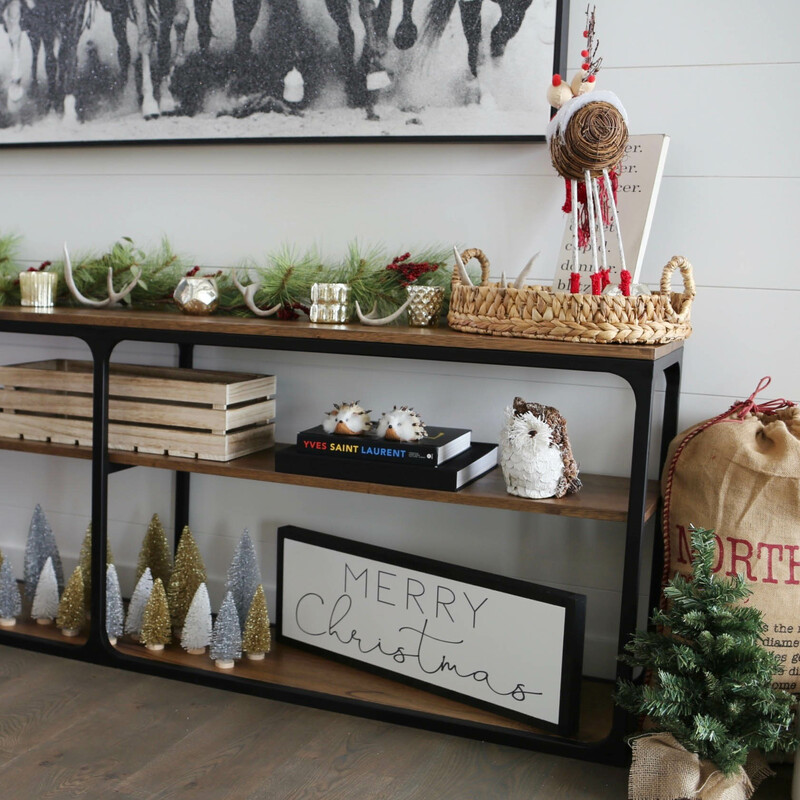 Share the post "Farmhouse Christmas Entryway"